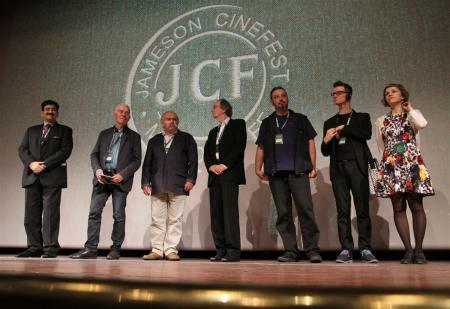 Miskolc â€œIndia is the largest film producing country in the World and we have an international personality Sandeep Marwah from India as a special guest on this auspicious dayâ€ welcomed Tibor Biro the festival director of Jameson Miskolc International Film Festival at the Grand City Hall at Miskolc. 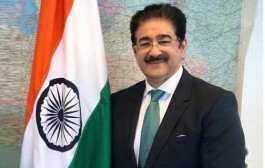 The Indian Ambassador to Hungary H.E. Malay Mishra declared open the India day from the historical city hall of Miskolc thanking Hungary to take initiative to include India as part of this event. â€œWe are honored to be associated with Indian film Industry and coming of Indian delegation to Miskolc will bring two countries together. We will be needing support from Indian Film Industry to boost Miskolc film businessâ€ said the Honor able Mayor of Miskolc Dr. Akos Kriza handing over the prestigious award to Marwah for his continuous support to the World Cinema and media education. 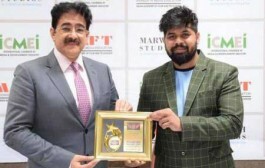 â€œI am touched by love and affection showered on me by the people of Miskolc which I will never forget for my lifetimeâ€ thanked Sandeep Marwah President of Marwah Studios. The ceremony was attended by Reena Marwah, Member Parliament Katalin Csobor, Secretary of the State, Member Parliament and Deputy Mayor of the city Dr.Zsiga Marcell, Members of the international Jury, Edit Osko of World Wings and film makers from all over the World. The formal program was followed by the Indian Classical dance and Indian food was laid down for all the guests present there.